You can access FormsCentral by clicking here. This has a very rich toolset for laying out forms quickly and easily. You should check this resource out, as it makes it very easy to create professional looking forms, without having specialist form design experience. 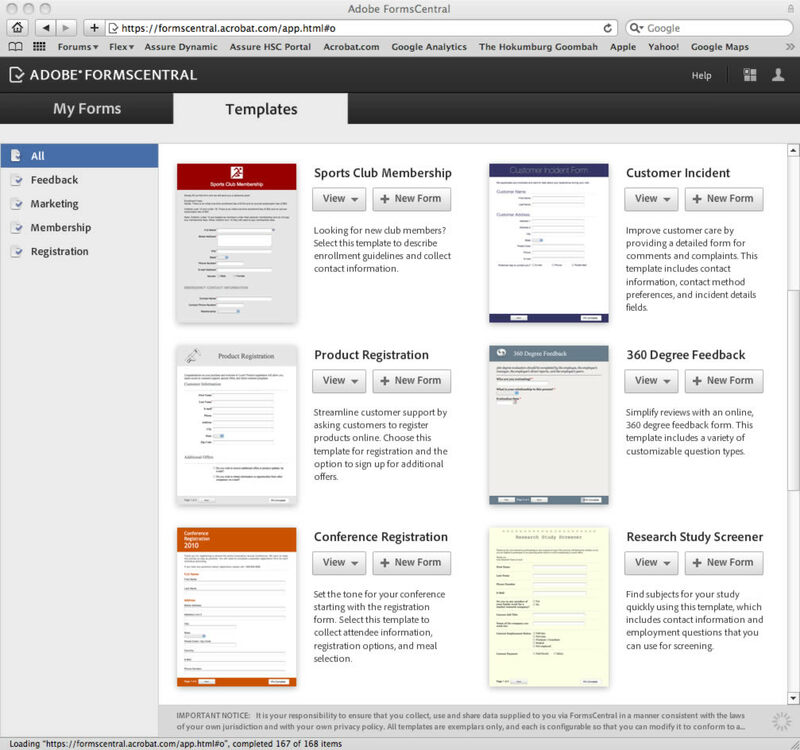 Adobe have provided a number of templates, which are totally customisable. The online resource is Flash/Flex based and provides a simple drag and drop approach to form design. You can add/delete form items, such as text fields, numeric fields, checkboxes and radio buttons. Adobe have made it very easy for you to take a template and adjust its colour, layout etc., to suit your requirements. You can even include images, such as your logo. After previewing the form, you can then share its link/URL with your audience. Your form is filled in online and the responses are available to you immediately. FormsCentral also includes analytical tools to make it easy for you to analysis and keep track of the responses. It bridges the gap between doing a form in Word and the more powerful Adobe tools, such as LiveCycle Designer ES2. 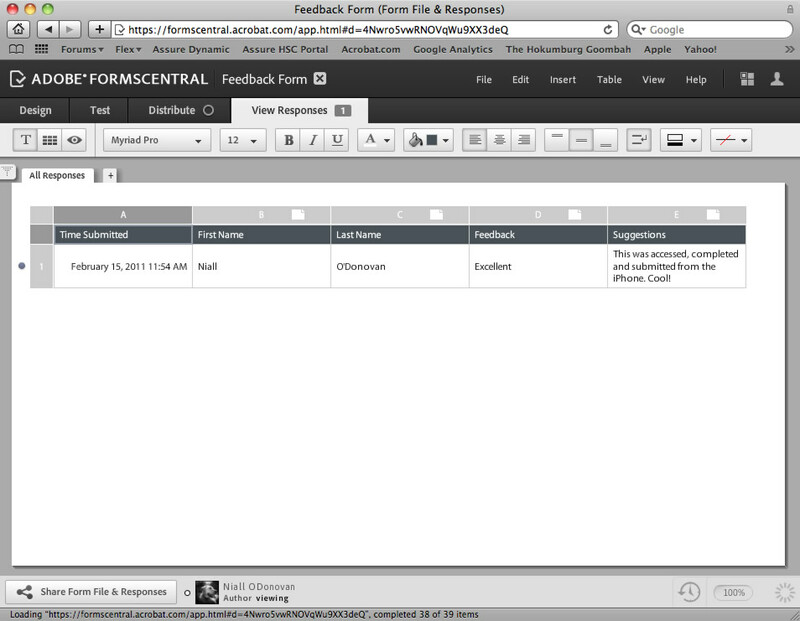 We have created a sample feedback form, using FormsCentral. Why don’t you have a look and give us some feedback – Thanks!